This case study pertains to a temperature mapping study and qualification carried out in Riyadh, Saudi Arabia. The process was carried out jointly by Cryopak, USA along with regional partner Vacker,UAE. The scope was to carry out temperature & humidity qualification of a cold room utilised for storage of medicines and vaccines. 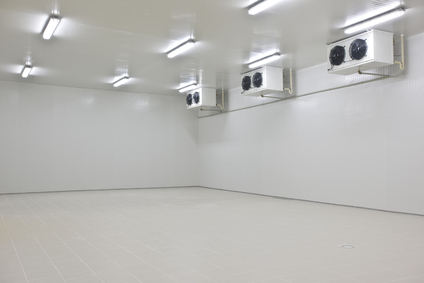 The cold room needed to maintain a temperature range between 2 and 8 Degree Centigrade and a humidity under 60%. The cold room was newly constructed and the qualification process was carried out before actual use. Temperature and Humidity mapping study was carried out for a couple of weeks under various conditions. Since the cold room was new, we could test the same under different conditions. The temperature mapping study gave good results. However, humidity distribution was not proper and exceeded 75% many times. Other tests of the qualification process were satisfactorily completed. Since humidity distribution was not within the range, the cold room could not be qualified. It was obvious that corrective actions were required for reducing the humidity. Cold room dehumidifiers are required for reducing the humidity. Two numbers of desiccant type dehumidifiers model TTR 400 were installed at two different corners of the cold room. These are special cold room dehumidifiers, Each was having its own control setting in which we can adjust the desired humidity levels. 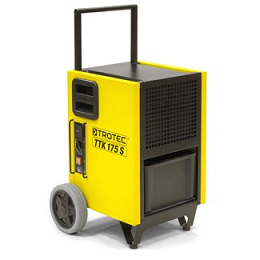 After installation of the dehumidifiers, temperature and humidity mapping study should be carried out once again.Dehumidifiers are electro-mechanical equipment and will produce a certain amount of temperature. Hence it has to be checked properly and temperature setting needs to be adjusted if required. In this case, after installation, we did a trial study to check the distribution and adjusted one of the cooling units. After that, a full study was carried out once again. The result of this study was found satisfactory and the cold room was certified after installation of cold room dehumidifiers.